Doctor Noah Stewart is the first person Kit Roarke trusts when she travels to the small town of Pratte, Vermont, to investigate her best friend’s murder—a murder that mysteriously mirrors the town’s only other one thirty years before. The more Kit learns about the handsome young physician, however, the more she wonders if her trust is misplaced. Noah harbors a dark secret. Despite his attraction to Kit, he wishes she’d go back home and leave the investigation in the less-than-capable hands of local law enforcement. Since she’s determined to stay and look into the murder, he has no choice but to stick close and monitor her progress, in the guise of helping her. If she strays too near to the truth, he’ll have no choice but to stop her. 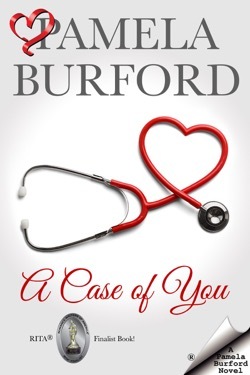 A Case of You was a finalist in both Romance Writers of America’s RITA Awards and RT Reviewers Choice Best Book Awards. Originally published as His Secret Side. Be the first to learn about new releases, sales and freebies, and more by signing up for Pamela's newsletter, You'll receive a free ebook as a thank-you! Use the "stay connected" form on the home page.